Cody Townsend and Co new film trailer just out must see!! (31 August, 2015) This might just be this seasons coolest films ”Conquering the Useless”: Cody Townsend that you might remember skied that impossible line the Crack in AK last season gathered together a possy of his best buddies Dave Treadway, Chris Rubensand wify Elyse Saugstad and seem to have really found a new angle to change up the format of ski films in this their own production. Film is due for digital download in October. For their new release, Fade to Winter, MSP Films spent the 2014-15 season canvasing every corner of the globe for the most epic spots to shoot. Along for the ride was a team of freeskiing’s top athletes: Markus Eder, Bobby Brown, Michelle Parker, Mark Abma, Tanner Rainville, Aaron Blunck, James Heim, Sean Jordan, PK Hunder and more. Today, this industry leading production company out of Crested Butte, Colorado is proud to showcase the trailer for its 2015-16 feature. The crew stacked shots from Alaska, to Iceland, British Columbia, Japan, Colorado, Italy and New England all in ultra high definition 4k. Get stoked, people—you’re not going to want to miss this one. Per TGR’s norm, you can expect to see some of skiing’s most talented rippers throughout the 2015 film, including: Sage Cattabriga-Alosa, Ian McIntosh, Tim Durtschi, Angel Collinson, Nick McNutt, Dana Flahr, Dane Tudor, Dash Longe, Dylan Hood, Colter Hinchliffe, Todd Ligare, Griffin Post, Johnny Collinson, Cam Riley, Clayton Vila, Sammy Carlson and more. Enjoy the tease, above. The deadline is getting closer to save on your dream heli-ski vacation with only one month to go. Book before August 31st to save as much as CAD 1300 on our heli-ski and cat-ski packages at Northern Escape Heli-skiing in BC. 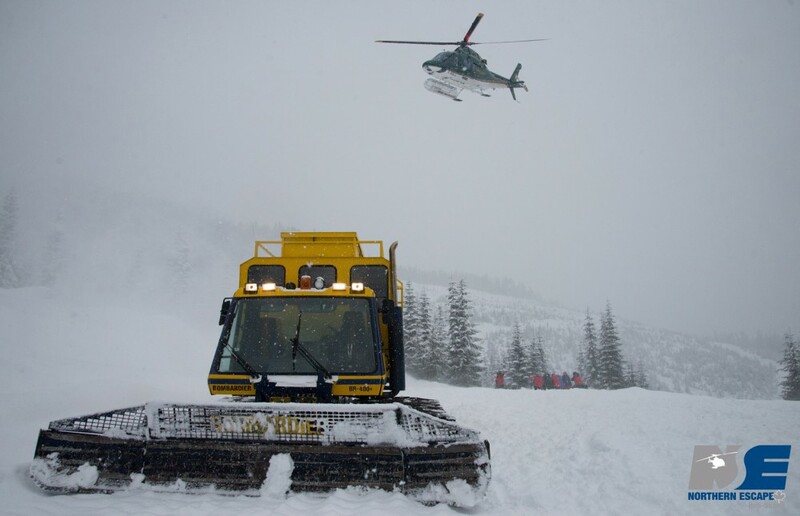 This Canadian location is offering some of the best heli skiing and cat skiing in the world! 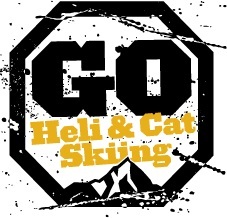 Our new cat-skiing program still has 3, 5 and 7 day packages available in December and early January. Some of the prime dates are Dec 10th-13th and Dec 27th-January 2nd. The heli-ski dates are getting sparse, so we recommend contacting us for the best seats available. Guaranteed Vertical! Vertical guarantees range from 13,100 meters for 3 Days and 30,500 meters for 7 Days. Zero Down Days! Three SnowCats are always on stand-by. If you constantly get snow like NEH does, you can’t always fly. But with back-up you are guaranteed to ski every day. One of the largest ski areas in the World! A vast and varied terrain, over 7000 square kilometers. Endless opportunities for first descents every day in our spectacular heliskiing and heliboarding terrain. Runs often begin high in the alpine, featuring huge open glaciers, and end with long descents through old growth forests to the valley floor. Very easy access! 25 minutes drive from Terrace airport services with numerous daily flights from Vancouver, BC, where we meet you at the airport and take you to the lodge. Contact us directly to book your dream heli-ski vacation!